When you need a full-sized minivan that's perfect for your family, consider the 2019 Chrysler Pacifica. It's exterior is filled with features that will make it a pleasure to drive around The Bronx. At Eastchester Chrysler Jeep Dodge Ram, we can show you the various colors available and explain any options you have for this exceptional vehicle. Every teenager looking to purchase their first vehicle are warned through anecdotal memories about the evil used car salesman. They are told about tricks played to make a car appear to be in pristine condition. Such stories are no longer valid as laws protect consumers from such unfair tactics. 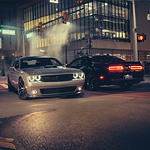 However, there is one program a person entering the auto market for the first time can trust—the Chrysler, Dodge, Jeep®, and Ram Certified Pre-Owned Vehicle program that services the Bronx. 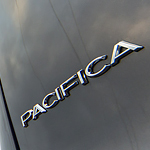 When you are looking for a popular hybrid minivan, do not overlook the Chrysler Pacifica Hybrid. This is a vehicle with great interior features to offer and a great choice for you. 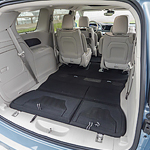 There are hundreds of seating configurations available for the Chrysler Pacifica Hybrid. This means that you can arrange the seats in a way that suits your family and your unique needs. You can get things set up just right to allow easy access to each of the seats in your minivan. 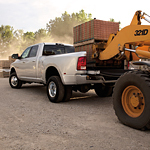 There are many consumers who choose the Ram 3500. This is a popular heavy-duty pickup truck because it offers an abundance of features. At Eastchester Chrysler Jeep Dodge Ram, our team keeps our consumers informed about our models so that they can pick a vehicle that meets their needs. If you want to know more about the Ram 3500, you can read about its exterior features below. 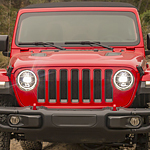 When you look at a Jeep Wrangler, you probably see a compact SUV with classic lines and rugged versatility. You may not notice the wheels and fenders, but the options you choose can customize the look of your new Wrangler. 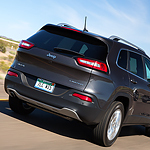 The 2019 Jeep Cherokee is re-envisioned to be a spacious yet compact SUV that could save on gas while also creating an incredible recreational vehicle. That's everything you could hope for with the Cherokee. It has all of the space and seating for five, while also including all of the technology that you expect in the latest vehicles. The Uconnect infotainment system has been updated with apps, integrations, and voice-activated commands. You can now connect your smartphone through Android Auto and Apply CarPlay. The interior is comfortable with soft-touch materials throughout. 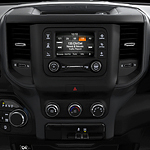 As you shop for a new vehicle in the Bronx, let us be the ones to show you the interior features of the Jeep Renegade. At Eastchester Chrysler Jeep Dodge Ram, we’re excited to show off all of the interior to you, from the upholstery to the technology. 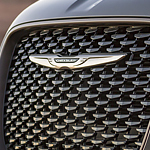 Depending on the trim level, you will get to choose from premium mesh or leather trim with grillz accents. There is also a lot of storage within the Renegade, from the armrests to the cup holders to the folding seats. For residents of the Bronx who are in the market for an excellent full-size luxury sedan, the new Chrysler 300 is the perfect option. Aside from its remarkable reliability and impressive performance specs, the Chrysler 300 also offers an abundance of stunning exterior features. In the light-duty pickup truck class, the Ram 1500 remains a popular choice, prized for its rugged durability and powerhouse engine. 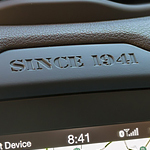 The new model year also receives an upgrade in safety features that take advantage of recent advances in technology. Towing a trailer is even easier thanks to the Ram 1500's new sensor array that uses radar to monitor blind spots while also taking into account the length of the trailer. One of the reasons why you would buy a Jeep Wrangler is because of its ruggedness. At Eastchester Chrysler Jeep Dodge Ram, we love that it is also refined. Various models will determine some of the upholstery and color options available to you.